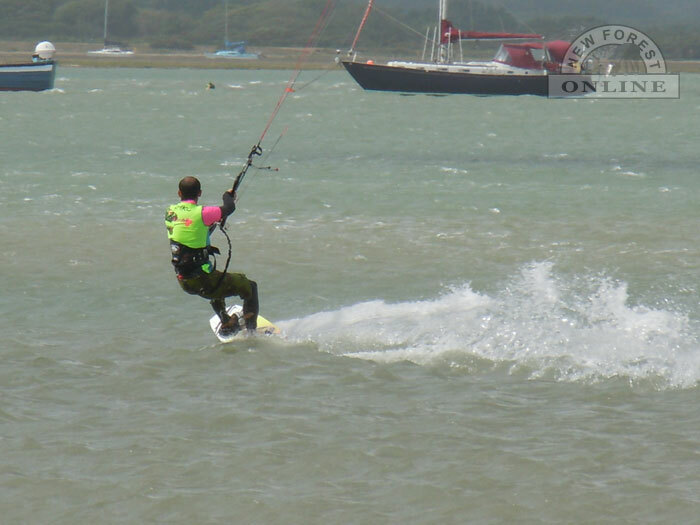 New Forest watersports are many and varied on the Solent. Whether you're a kite surfer, sailor, powerboat driver, kayaker, swimmer or windsurfer, you'll find a place to launch. It's amazing that no matter how busy the Solent gets, there's always a quiet (or blustery) corner somewhere to indulge your passion, whatever it may be. My personal favourite (in my youth) was to pop my HiFly100 windsurfer (about 12 feet long) onto the roof of my Fiat 126 (about 10 feet long) and buzz like a sewing machine down to Keyhaven pond, inside Hurst Spit, where I'd blast up and down until my arms couldn't take it any more. Nowadays I am more of a sailor - but that's just me. The New Forest is surrounded on its southern side by the English channel and a beautiful coastline containing some of England's finest and cleanest beaches. 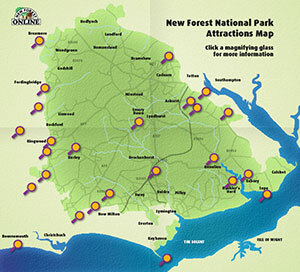 A variety of watersports can be enjoyed in the New Forest area. Beaches which are safe for swimming are located at Calshot, Lepe, Milford-on-Sea, Highcliffe and Barton-on-Sea. The sandy beaches of Bournemouth are an easy drive away from the New Forest. With regard to swimming pools, Lymington marina offers a large open-air seawater swimming pool and Lymington's leisure centre has a large indoor pool. There are also excellent indoor pools at Applemore, New Milton, Totton and Ringwood. For children, the Littledown Centre in Bournemouth has a very popular children's swimming pool. In summer months, there are a range of boat trips from which to choose. You could take the ferry to the Isle of Wight from Lymington. From Keyhaven, you can take a small ferry to Hurst Castle or to Yarmouth on the Isle of Wight. Cruises also operate on the Beaulieu river, departing from Buckler's Hard. 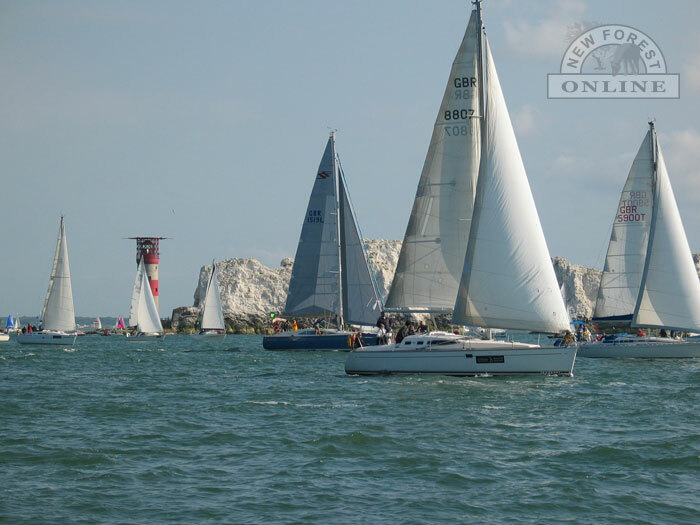 The Solent is known throughout the world as one of the premier sailing locations. Three key yachting destinations in the area are Buckler's Hard (up Beaulieu River), Lymington and Keyhaven. All provide launching points and some moorings for visiting boats. During the summer months, these areas come alive with a variety of regattas and racing events. Other launching slips are available at Lepe and Calshot. Also at Calshot and Lepe you can hire equipment for windsurfing. The beautiful Avon River provides some wonderful freshwater fishing. This river is well-known for coarse fishing and its high quality of salmon. Fishing permits, which can be obtained locally, are required. Also throughout the New Forest, some ponds and other waters provide good fishing - for which you need a permit from the Site Manager. Trout fishing is found at lakes near Fordingbridge. The Lymington River estuary offers good sea fishing. Sea angling trips are available from Keyhaven, and beach fishermen often take advantage of Milford-on-Sea's shingle shore. If you'd like to add your watersports business to our Business Directory (free), click here to submit your details.